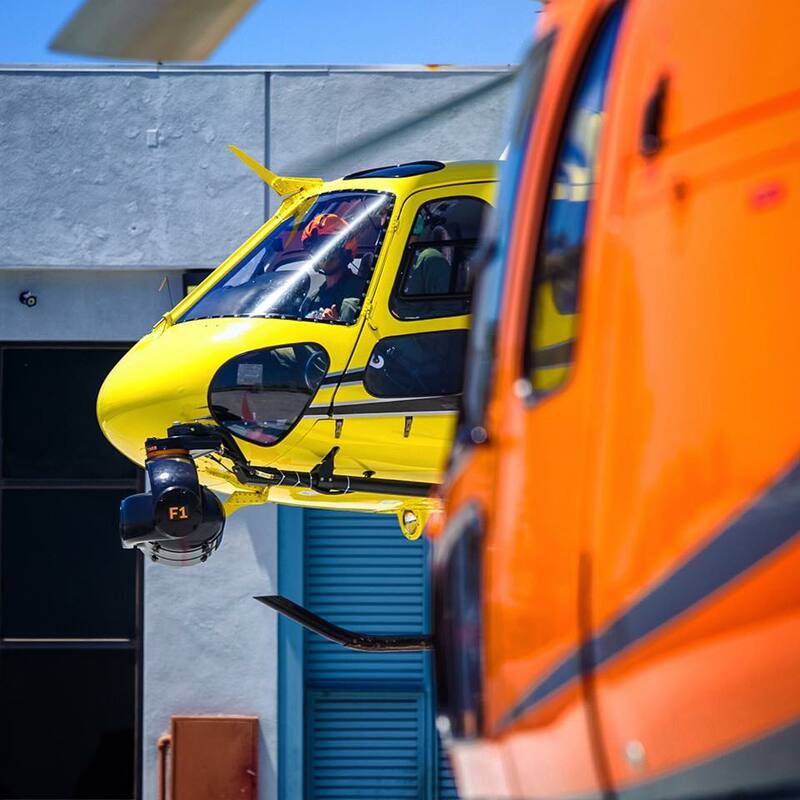 HeliStream offers an experienced and professional approach for all aerial filming services in California, including gyro stabilized systems such as Cineflex, Wescam and Spacecam, as well as handheld cinematography and still photography. We currently operate over 20 helicopters throughout the United States. 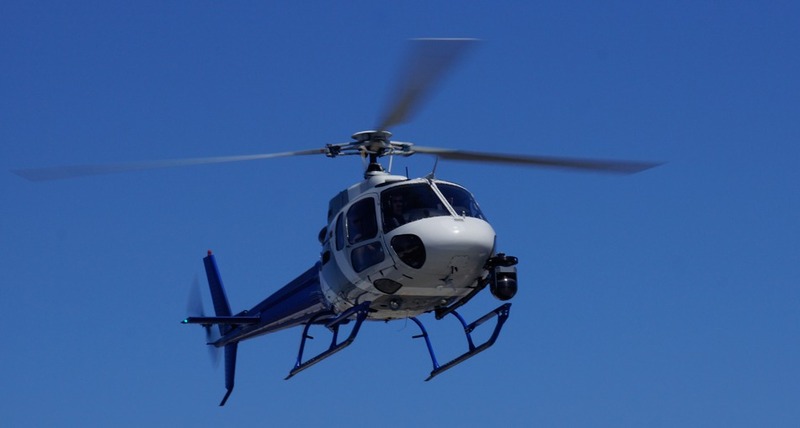 Our Company’s large fleet of helicopters ensures that productions and clients can get the best footage with the right equipment at the right price. After 26 years of safe operation, our ground staff has the logistical experience to coordinate productions anywhere in California or the United States. The aircraft are maintained to the highest safety standard and we are capable of meeting most maintenance requirements in the field as well as providing 24-hour mobile fuel service. HeliStream can help you choose the right aircraft for your project needs. Camera equipment generally falls into two basic categories for aerial filming, Stabilized or Non-Stabilized, and are used in all media formats, such as HD Digital and 35mm video as well as still photography. HeliStream can assist you in chosing the right system for your project that will give you the best shots possible while also staying on budget. The Cineflex Elite and Cineflex V14HD are the ultimate gyro-stabilized aerial platforms for HD aerial filming, video production and transmission line or pipeline survey. Extremely durable and weather-resistant, the camera can be flown safely at higher airspeeds in extreme cold, hot or dusty conditions. The Cineflex Elite uses the ARRI Alexa-M Super 35 camera and Canon 4k Digital Cinema lenses. The Cineflex V14HD system provides rock solid aerials using the Sony CineAlta HDC1500 camera. The Wescam 35mm system set the standard for stabilized imagery in cinematography. Today, customers continue to benefit from the system’s open architecture that allows for the integration of a diverse range of camera systems supporting HD, Digital, and 35mm film. Wescam systems have flown in over 60 countries on every type of project. SpaceCam is the foremost aerial imaging company in the motion picture industry offering the widest range of film format and high-end digital stabilized equipment in the industry. SpaceCam’s capabilities in film range from 35mm systems to Digital and video systems encompass Arri Alexa, RED, Sony Products, the F23 and F35 and the Panavision Genesis. Tyler offers the largest variety of stabilized helicopter camera mounts for all film and video formats. Tyler provides major, Middle and Nose mounts. HeliStream can work with Tyler to engineer and manufacture custom mounts.